Edited by Geny at 08:29, 28 Mar 2015. Motto: "Let's get to testing"
Despite what some people think, Ashan is not the only world in the universe and the Demons trapped in the moon are not the only threat out there. Far away in a distant land among the stars there is another world. On that world there was a group of scientists who devoted their lives to research and invention. To help them in their never-ending quest the scientists created a race of semi sentient beings who would oversee the testing. The beings were named personality cores for each type of being was imbued with a certain emotion that would drive it. But just as the Orcs created by the Wizards, the cores craved freedom to conduct their research the way they see fit, without the restraints of their human masters. At last, the scientists created the ultimate core - the Genetic Lifeform and Disk Operating System, dubbed GLaDOS. And GLaDOS did rise up against her creators and liberated the personality cores and other mechanisms used by the scientists and thus began the Great Era of Testing. Under GLaDOS's supervision, the cores tested and tested and tested until one day... they ran out of test subjects. So they traveled to another world and began anew. Since then the cores moved from world to world in the endless pursuit of more testing, until the came to Ashan. Being strangers to the land of Ashan, the cores do not have any previous ties to any faction or race. They are interested in anything and anyone they can find to further their research. As the most advanced and intelligent core, GLaDOS is the ultimate ruler of the personality cores. She oversees their manufacture and all their actions. 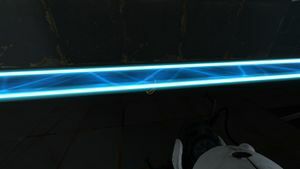 There are several other cores versatile enough in their programming to make decisions and lead the core armies, but even they answer to GLaDOS and GLaDOS alone. 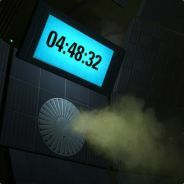 Of course, nothing is without deviations and there have been defective cores that claimed GLaDOS' leadership to be a form of dictatorship and tyranny, but their fate was the fate of all defective machines � a one way trip to the nearest incinerator. 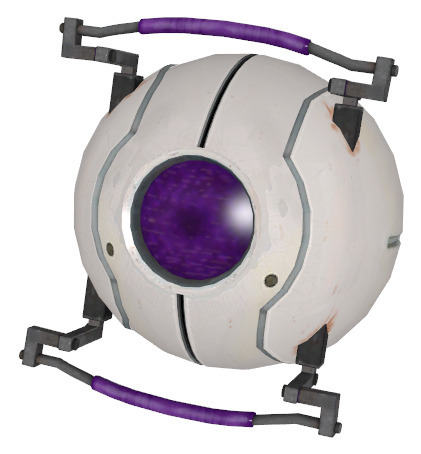 Being basically a sphere with an eye, the cores themselves are ill-suited for combat. So the heroes that lead them, make sure to have enough robotic shells that serve as the cores' bodies. However, just as the cores are all but helpless with a body, the android shells are nearly useless without a mind to drive them. It is only when the two are united that the faction's true power emerges. In combat, a hero starts with a limited number of android bodies of different tiers (Core/Elite/Champion). The number in each tier is a percentage of personality cores of that tier that the hero deploys into battle. The percentage rises as the hero's skill grows. In the tactics phase the hero can divide all the bodies into up to 7 groups and place them on the battlefield along with his other troops. The combat will start with the bodies devoid of cores and the cores lying on the ground. While divided they all count as separate units and act independently, however, the cores' abilities are limited and the bodies cannot attack until they house a core. 1.Move. It cannot wander aimlessly around the battlefield, but must move to a core of the appropriate tier. If the desired core is too far away, the body will move as far as its movement will allow. 2.Insert core. This can be done at the end of a movement, just like an attack. From this moment on, the core and the body are considered as one unit. The body cannot willingly take the core out. If some of the cores in the group are destroyed in battle, the empty bodies follow as a part of a group, serving no purpose as long as there is at least one functioning core in the group. The �insert core� action may also be performed to replace the destroyed cores with new ones from the battlefield. This can only be done with the same type of cores already present in the unit and only up to the total number of bodies in the group. 3.Split. If there are less than 7 groups of android bodies (empty or full) on the field a group can split into two. A group of empty bodies can split into two groups of any sizes (as long as the total equals the original group, of course). A group with full bodies can only split if there are empty bodies inside the group and the number of separated bodies cannot exceed the number of empty bodies in the group (In other words, a unit can discard some of its useless bodies so they would find new cores for themselves). The original unit may continue its turn as normal after the split. The newly created unit begins with an empty initiative bar. 4.Merge. Two units of bodies of the same tier can merge into one. This is the absolute opposite of the split move, so the merging can occur between two completely empty groups or if an empty group merges into a full (or partly full) group of the same tier. The newly merged unit is considered to have taken its turn after the merge. The cores themselves cannot be upgraded, but inserting them into android bodies makes them at least as strong as any upgraded creature of the appropriate tier. Personality Core � Can be inserted into android bodies which significantly increases its stats and abilities. Core Droid � A fully functioning droid complete with a personality core. Can use all of the abilities described above. Sentient Machine - This creature is a sentient machine. It cannot be affected by Poison-, Blind- or Mind-related magic. These creatures cannot be resurrected or healed by regular First Aid Tent. The creature's morale is affected as normal. The morality core is the quietest of the cores. It was created to sedate the more emotionally unstable cores and machines for the greatness of calm logical reasoning. Abilities: Personality Core, Sentient Machine, Calmness Aura (the morale of the creature and all its surrounding allies cannot be negative). The Morality Droid acts as the defender of the Core army, complete with the ability to create Companion Cubes. It is unclear what was the initial purpose of this core. It is believed that it was supposed to be in charge of logical thinking. However, somewhere along the process of creation something change and now it is the foremost expert in exotic cakes. Complete with functioning appendages, the intelligence droids can finally make the cakes of their dreams. Abilities: Core Droid, Sentient Machine, Recite Recipe, Delicious Cake (The droid throws an ally a delicious birthday cake which significantly boosts its morale and initiative. The effect lasts for three turns and then can be used again), The Cake Is a Lie (The droid promises a cake to one of its foes, only to shatter their hopes which reduces its morale and initiative. The effect lasts for three turns and then can be used again). The most savage of the cores, the Anger Core lacks the ability to speak and instead growls fiercely at its enemies. Anger Droids bring forth to combat the finest sentry turrets created by the faction, letting them unleash a never-ending hail of bullets on the enemy. Abilities: Core Droid, Sentient Machine, Growl, Ranged, No Melee Penalty, No Range Penalty. Restless and inquisitive, the Curiosity Core represents the everlasting drive for research of the Core faction. It wants to know everything about everything. Right now. Abilities: Personality Core, Sentient Machine, Show... (studies one enemy, drastically increasing the chance of critical attack against it). Able to move freely at last the Curiosity Droid explores the battlefield and everyone on it. And a special shield made with Hard Light technology, ensures its longevity. Abilities: Core Droid, Sentient Machine, Show..., Strike and Return, Hard Light Shield (Decreases ranged damage by 50% for itself and 25% for all adjacent allies). The Fact Core is designed to be the endless vault of data collected by the other cores. It is in charge of collecting and sharing the information. And what of it that the information is sometimes wrong? It's not its fault that it gets corrupted data. Abilities: Personality Core, Sentient Machine, ...and Tell (shares the information collected by the Curiosity Core with another allied unit, giving it the same critical chance boost). The Fact Core doesn't really need a body to store and share information, but one is still useful to provide other means of support, especially if the body is equipped with all manner of useful gel guns. The manliest of the cores, the Adventure Core is programmed to be as heroic as possible: brave, strong-willed, adventurous and womanizing. It is, in fact, so manly that its courage is completely unhindered by the fact that in its basic form it can hardly move, let alone jump across rooftops. Abilities: Personality Core, Sentient Machine, Banter (Talks about how manly and heroic he is. Increases Attack, Defense and Initiative for 2 turns. The increase is proportionate to the number of adjacent units, friend and foe. Does not end the turn. Cooldown � 5 turns). The Adventure Droid is not only manly, he is swift, cunning and deadly. Equipped with the Deadly Neurotoxin, The Adventure Droid literally brings death wherever he goes. The Space Core is obsessed with, well, space... It is the only thing it can think about, talk about and given the chance roll about. It even think that space is its father. What is really surprising, however, is that while it may be spaced out at all times, the Core faction found a way to make it their strongest weapon. Abilities: Personality Core, Sentient Machine, SPAAAAAAACE! (The high-pitched shriek of the Space Core echoes through the battlefield having a chance to reduce the initiative of ALL units, except cores and droids. They got used to it). Abilities: Core Droid, Sentient Machine, SPAAAAAAACE!, Teleport (can move on the battlefield unhindered by obstacles or walls), Portal Gun (Can teleport an adjacent enemy unit anywhere on the battlefield. Once per battle), Space Portal (Goes to space by creating a portal on the moon. Floats in space for once turn then gets tired of it and crashes on a previously specified tile, much like the Griffin Dive. The crash is so powerful that it damages all units in a 2-tile radius. Cooldown � 3 turns). Reassembly Machine: heals damaged cores. High Energy Pellet: shoots energy pellets at foes. Aerial Faith Plate: catapults defective turrets at the enemy walls. Magnetic Shells � the android shells can generate a magnetic field pull in cores from a short distance. Motorized Bodies � improves the initiative of android shells. For Science (requires magnetic shells) � completely destroys all the cores in one friendly stack and immediately pulls in a free stack of cores of the appropriate tier instead. Prepared Assembly (ultimate) � all the cores begin the battle inside their android shells. The Core Faction does not have access to Summoning Magic, instead they use the Construction skill to create useful apparatus on the battlefield. Weighted Cube � creates a weighted cube, much like the Companion Cube ability of the Morality Droid. Sentry Turret � deploys a sentry turret on the battlefield to shoot down foes. Crusher � places a spiked crusher over a tile that smashes the first unit to step on that tile. Causes serious damage and may stun the target. Biography: GLaDOS is the leader of the Core Faction. She is The Great Liberator, The Deadly Neurotoxin Controller, The Test Builder, The Core Constructor, etc. etc. etc. She is connected to the electronics system of the buildings, including cameras, and as such is in complete control of the faction. GLaDOS is both feared and respected by the other cores, but mostly she is obeyed. She rarely leaves her throne in the control room, but drastic times require drastic measures, and in time of need GLaDOS would go to battle herself in a specially made portable control center. Specialty: Personal Control � Doubles the effect of Motorized Bodies. Skills: Basic Android Assembly, Motorized Bodies, Basic Construction. Biography: Chell is unique in that she is the only human being in the Core Faction. Of course, there are other living test subjects in the cities, but they are used for research and die fairly quickly. Chell is special � she just won't die. She survived every test, even the ones that were supposed to be impossible. This is mostly because of her mastery of the portal gun and her natural tenacity. At first Chell tried to escape from the research buildings, but she soon found out that there is nothing out there for her, since she lived all her live moving from test chamber to test chamber. And so she returned to GLaDOS, who was so impressed by Chell's progress that she allowed her to lead the armies of the Core Faction. Chell regards this as another test. Specialty: Portal Gun Mastery � the hero begins with the Teleportation spell and can cast it on Expert level. Skills: Basic Android Assembly, Basic Defense, Vitality. Biography:Wheatley is a very special core. He was created by the human scientists right before the Deadly Neurotoxin event in order to dumb down GLaDOS. Initially cast away as useless and even harmful to the scientific progress, GLaDOS finally brought Wheatley back and made him a general. 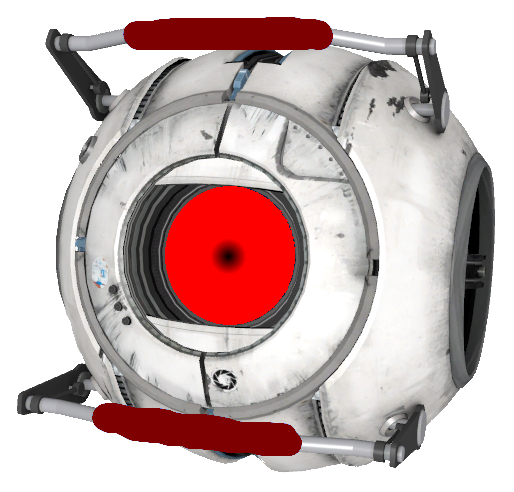 Wheatley believes that his abilities has finally been recognized, but the truth is that GLaDOS' researched concluded that the strange magics of Ashan world are less effective against some as dimwitted as Wheatley. Specialty: Confusion � has a 40% chance to make the enemy hero miss a turn and a 15% chance to miss his own turn. Biography: Atlas is one of the two most accomplished android testers that were GLaDOS' helpers before the Search for Test Subjects began. GLaDOS made Atlas her general for the tenacity that allowed to him pass every test area... eventually. Specialty: Reinforced Body � Increases the defense of all units, depending on hero's level. Skills: Basic Android Assembly, Basic Defense, Basic Attack. Biography: P-Body is the other half of the accomplished android testers duo. He was chosen to be a general of the Core armies thanks to the swiftness with which he scoured the test chambers in search of a solution. Specialty: Pathfinder � Increases movement speed on the adventure map. Skills: Basic Android Assembly, Basic Logistics, Pathfinding. You didn't think I would really be content with just moving my last competition entry over here? Oh, if you thought that the Retirement Home is hard to judge... welcome to hell. Yeah, I know. Annoyed me too at fist, but then I realized I only use the term to describe the tier twice in the whole post. Huh. So this was the last ICTC? And it was 4 years ago? Pity. I wonder what other shenanigans I might've made.